We're back! We had a great week in Chicago site-seeing and looking for apartments. Instead of staying in an expensive hotel, we rented an awesome apartment for the week in Ukranian Village a great neighborhood on the north side. 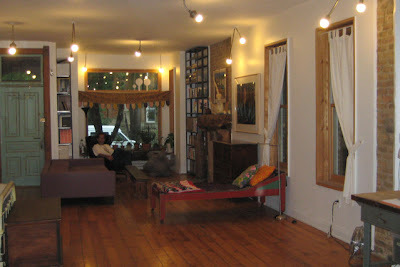 The apartment is owned/designed by a Chicago artist. He had great art, photography, and artifacts from his travels, not to mention a collection of awesome vintage finds. 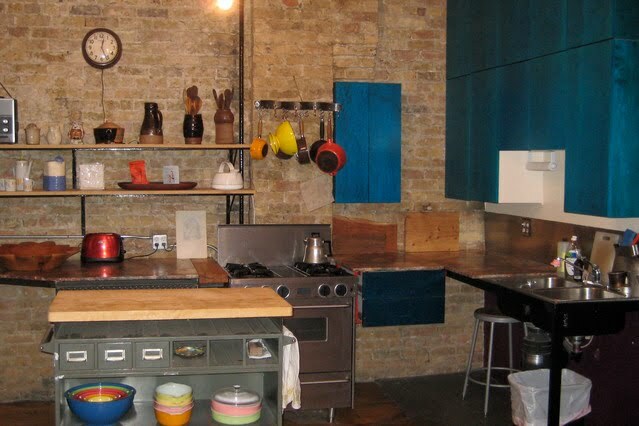 The kitchen was my favorite part of the apartment. It was super unique! Loved the cabinets and the cart he turned into an island. Look at the shower...isn't that awesome! 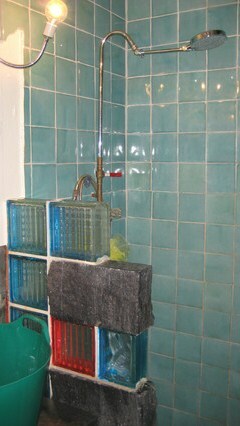 The bathroom/shower floors were mosaic and the sink was replaced with the green tub. I don't know if I could live with it all the time but it was awesome for the week! We saw this car at a mechanic's shop by Wrigley Field. These awesome giant license plates were in the same garage. One of the best things about Chicago is how varied the homes are. Each house is completely different than the next. On the block we stayed on, there were ultra modern glass and concrete buildings, Spanish-style ranches, elegant stucco buildings with Parisian balconies, and brick 3-stories. It definitely keeps things interesting. While we were in Chicago, we managed to find a great apartment. I don't have pictures yet and we haven't officially got the apartment, but as soon as we do, I'll post pictures. It's a BEAUTIFUL vintage apartment with the original woodwork on the windows and built-ins. The living room is large enough to host a ball! 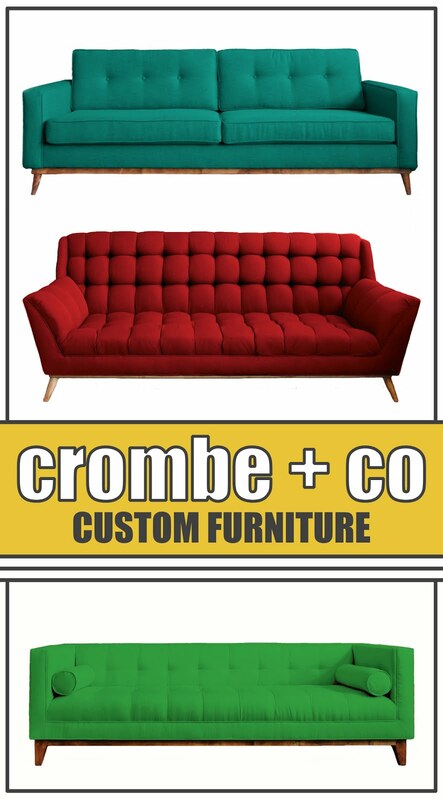 We'll hopefully hear back this week...I can't wait! Oh, and if you're hungry, Chicago's the place to be. The restaurants are to die for! My favorite would have to be the smoked salmon club I had from Cafe Selmarie in Lincoln Square...it was simply divine!